A coalition of green groups has urged the UN’s civil aviation body and its member nations to next year deliver on their commitment to finalise a global market-based mechanism for the sector, setting a 10-point checklist for governments to ensure the scheme is robust. 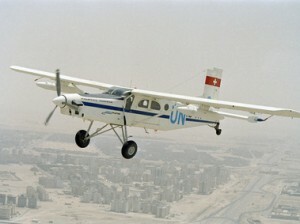 The International Coalition for Sustainable Aviation (ICSA), which is comprised of six environmental campaigner organisations, said the litmus test for the International Civil Aviation Organization’s (ICAO) leadership will be an on-time launch for the market and an open process to establish a “review and ratchet” mechanism to cut the sector’s emissions below 2020 levels. The group published its checklist ahead of discussions on the issue at the Global Sustainable Aviation Summit in Geneva next week. The conference is the aviation industry’s last opportunity, pre-Paris COP, to demonstrate that it is working for a scheme that has high environmental integrity, and that it is using its key role in ICAO to help bring developed and developing countries together on the key issue of common but differentiated responsibility, they said. ICAO has said it will conclude talks on a global market-based mechanism at its 2016 Assembly, with the scheme’s targets based on a pledge by the sector to cap its CO2 emissions from 2020. At ICAO’s previous Assembly in 2013, members agreed to let the UN body craft an offsetting system by 2016 to take effect from 2020 to help the sector achieve carbon neutral growth and a 50% cut in emissions on 2010 levels by 2050. However, an official from airline association IATA earlier this year said a global offsetting mechanism won’t be ready in time for countries to adopt it at the 2016 meeting, meaning that the missed deadline could trigger fresh EU proposals to re-apply its regional aviation ETS. 1. Initially cap the net total carbon emissions of international civil aviation at 2020 levels. 2. Effectively solve the question of how to differentiate among varied airlines and destinations. – ICSA proposes a simple route-based approach where regional routes with already-heavy CO2 emissions would shoulder greater initial responsibility, obligations of small but fast-growing regional routes would increase as their pollution grows, and responsibilities would be updated regularly. 3. Allow only emissions units that deliver real, additional, verifiable, permanent emissions reductions and sustainable development co-benefits. – ICSA said offset credits coming from “questionable” sources, such as HFC-23, N2O adipic acid, carbon capture and storage, large hydro, nuclear and fossil fuel projects have low environmental quality and must be excluded. 4. Avoid the double-counting or double-claiming of emissions units within the mechanism and by other mitigation systems. 5. Ensure that if any exemptions are allowed, the integrity of the emissions cap is maintained through compensations elsewhere in the mechanism’s policy. 6. Ensure no “cap-busting” price ceilings are introduced, so that the environmental goal remains. – Robust lifecycle emissions accounting of all alternative fuels, whether they result in emissions savings or increases relative to conventional fuel. The mechanism should only “credit” biofuels that reduce net lifecycle emissions beyond set thresholds and that meet environmental, social and economic sustainability criteria, including low indirect land use change. – The market’s governance should be publicly transparent and accountable, and free of conflicts of interest. 8. Be readily and transparently enforceable using existing regulatory authorities, and have provisions for ICAO and its members to support developing countries in the mechanism’s implementation and enforcement. 9. Allow jurisdictions to institute more ambitious aviation carbon pollution reduction measures. 10. Ensure that ICAO builds on its commitment for a 2020 emissions cap and create provisions to allow aviation to cut carbon emissions to levels actually in line with a safe climate future. – As the 2013 ICAO Assembly agreed, ICAO must work on an emissions cap that extends beyond 2020. – The 2016 ICAO Assembly resolution must establish a commitment to cut emissions beyond the 2020 cap and mandate the development of measures to achieve this. – A “review and ratchet” process would help industry work towards its stated goal of a 50% emissions cut based on 2005 levels, and allow countries to periodically review and strengthen that cap in line with what the science demands and to take into account low carbon technological advancements in aviation. – As part of helping the aviation industry reduce its emissions in line with science, ICAO should set the stringency level for the ICAO CO2 standard for new aircraft to ensure emission cuts beyond what would happen without the standard. – ICAO should consider setting additional targets to ensure that in-sector technical and operational emissions reductions are maximized. Aviation is one of the top 10 sources of GHG emissions globally, and the sector’s output is forecast to triple by 2050. A number of national and regional carbon market, including the EU ETS – the world’s largest, already regulate or plan to regulate aviation emissions. The mandate to develop a global market-based mechanism was formally taken on by ICAO after the EU’s inclusion of extra-jurisdictional aviation emissions triggered legal disputes and the threat of an all-out trade war with some of the world’s top economies. ICSA point out that the aviation sector itself is at high risk from climate change, with flights threatened by more extreme weather and as many of the world’s airports are located in low-lying coastal areas subject to sea level rises. ICSA, the only environmental civil society organisation accredited as an observer in ICAO, is comprised of Aviation Environment Federation, Environmental Defense Fund, International Council for Clean Transportation, Carbon Market Watch, Transport and Environment, and the World Wide Fund for Nature.